Atelier Ilyere | An artist's workbench. 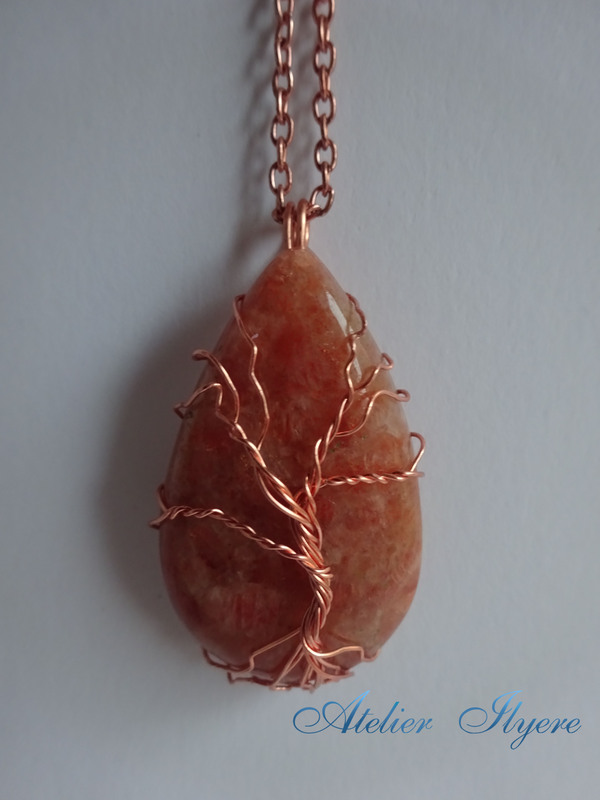 If you are interested in sunstone as a healing stone, you can find its properties here. I bought this teardrop-shaped sunstone gemstone from a craft fair a while ago and finally decided on what to do with it recently. I couldn’t figure out how to frame it, so instead I wrapped a tree of life around it. I made a very simple tree with not that many wires and it did not take long at all! I followed this tutorial as a guideline, it was very useful to get some tips! However I did mess up on one part of it… (Go easy on me, it was my first attempt!) When I wrapped the tree branches around the frame at the back, I accidentally snapped a wire by bending it too much. It still holds in place, but be careful with the finishing! Apologies for the silence! I was a bit burnt out from planning a holiday and being away from home for so long. Now that everything is in order, I can share a project that I started in January, but only finished recently due to finding a spark of creativity! 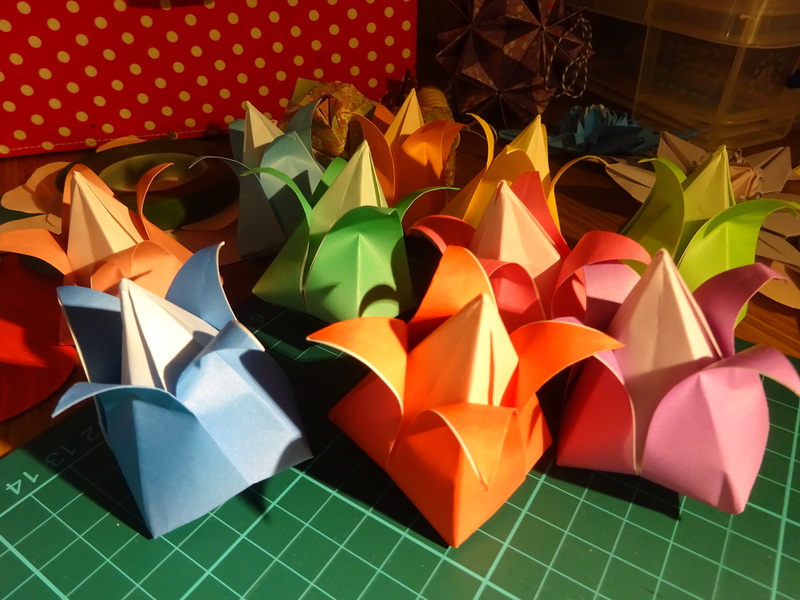 I found some old gradient-coloured origami paper that I had never used until now. They suited the shape of tulip bulbs so well! For a Christmas bake sale, I made some themed chocolate cupcakes with vanilla icing. 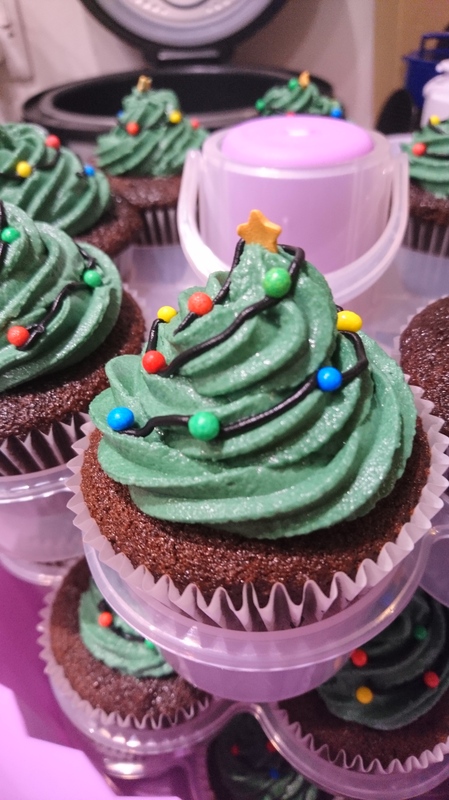 The icing was coloured with forest green and it comes out with a lovely shade of green. Then I piped a black line of icing running from top to bottom, dotted the line with coloured chocolate balls, and topped it off with a star. My workplace Christmas party was yesterday, and the theme was ‘Glitz and Glamour’. I’m not a fan of showy dresses, so I opted instead to go for a plain dress, but make the accessories sparkly. Yes, I did wait until the party happened to post this! My heels and clutch bag both had sparkling clear crystals and a mixture of white and grey pearls adorned on them, so I used a similar idea with my jewellery. 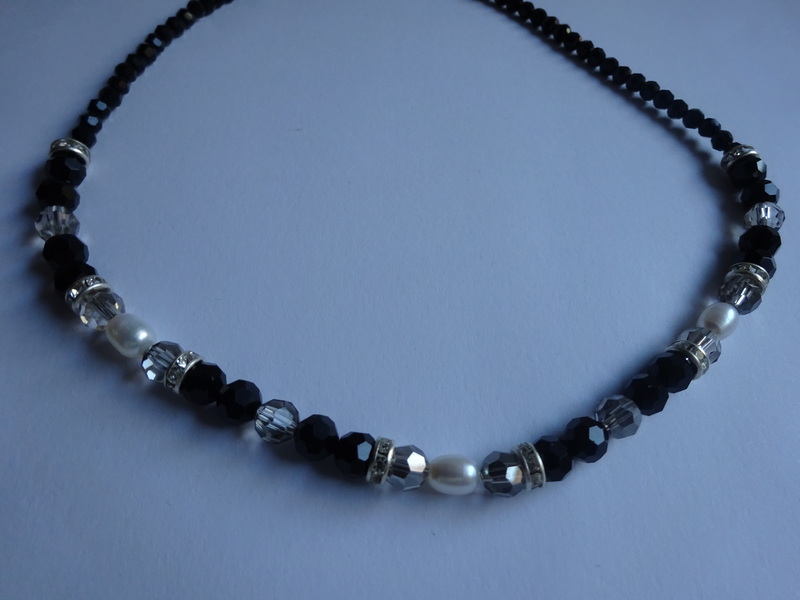 I mixed faceted black beads, grey beads, and crystal rondelles with ivory oval pearls. My dress was an off-the-shoulder one, so I created a choker-style necklace. I plan on making some jewellery for a Christmas party soon but I’m missing some key components and Black Friday starts soon so I’m waiting for some nice sales. 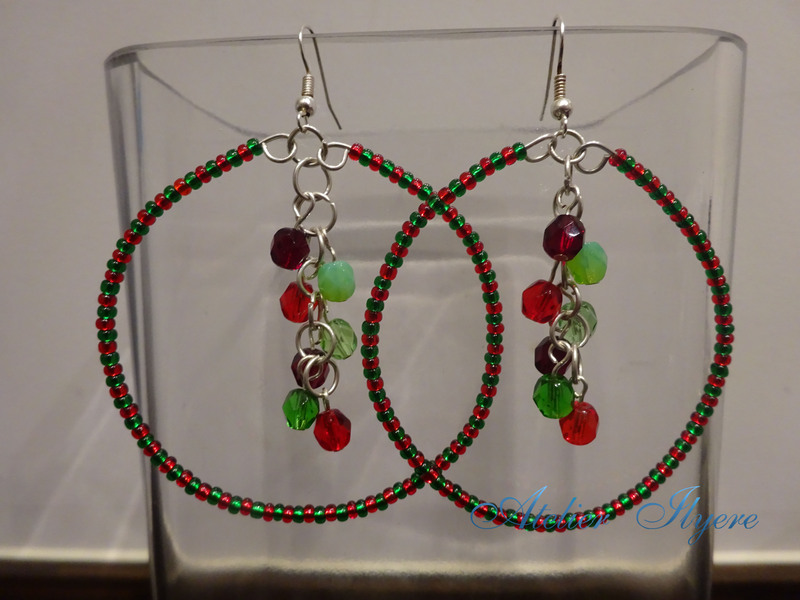 In the meanwhile, using some spare seed beads and glass beads, I made these Christmas-themed hoop earrings with a string of glass beads in the centre – kind of like some baubles!